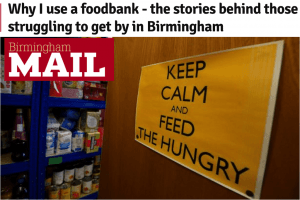 Organisers at a local foodbank are asking small businesses across South West Birmingham to show their support as part of a new “Ton Up for B30 Foodbank” campaign to prepare for a predicted increase in demand. It’s hoped that at least 100 businesses will pledge at least £1 per week in a fundraising scheme that will boost supplies. The B30 Foodbank based at Cotteridge Church is part of the Trussell Trust – the largest network of foodbanks across the UK – and provides support for those in need across the South West corner of the city. However, organisers are expecting demand to rise as welfare benefits change, with Universal Credit being phased in across the area. Steering group member and volunteer Bob Jefford said: “Universal credit is our next big headache. We’re extremely worried that our shelves and warehouse will be emptied by a sharp increase in need for emergency food. The “Ton Up for B30 Foodbank” campaign asks at least 100 local companies to pledge at least £1 per week, providing enough cash to cope with a 10% increase in demand. Bob said: “We haven’t asked businesses for support before, but we hope they will be as generous as the amazing donors who already support us. If you are a local small business and you would like to offer your support to the Ton Up for B30 Foodbank campaign, you can set up a standing order for at least £1 per week to Lloyds Bank Account number: 34292560 Sort code: 77-85-14 or download a standing order form. 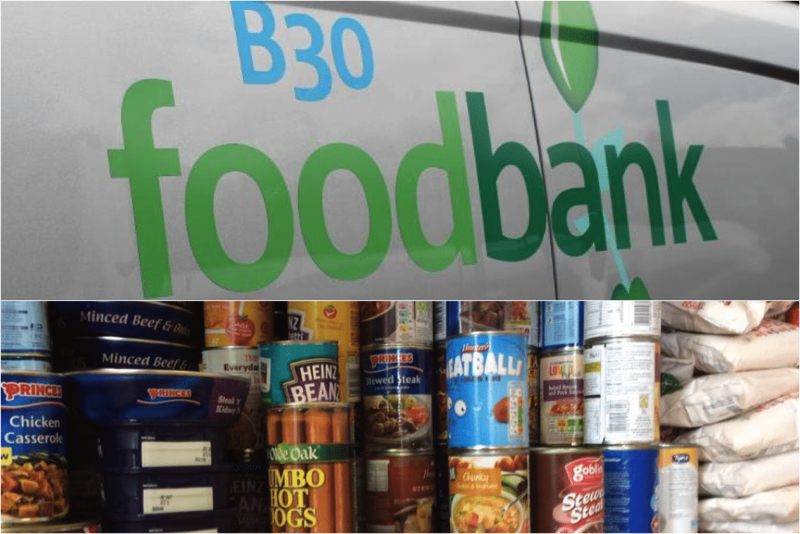 If you are a large company and want to find out more about offering more support by partnering with B30 Foodbank, visit their website. Individuals can donate when able or set up regular donations. Check how. Individual or group donations are welcome – consider asking your work colleagues / school / club to hold a collection! This wrong in this country all the money we make and give away free to other countries needs to stop. Start thinking about our people instead. Put the great back into Britain instead of just Britain, why is the Queen not helping by cutting goverment wages.